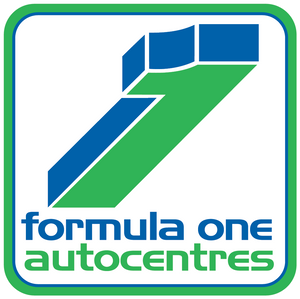 Established in 1974, Formula One Autocentres set out with a mission to deliver a completely new fast-fit experience to its customers. This would feature clean, modern premises, high-tech equipment and highly trained technicians; far removed from the kind of service normally associated with the industry. Forty years down the line, we have grown to become one of the UK’s largest independent autocentre chains. The business remains family owned and continues to uphold its original commitment to delivering the highest quality service at the most competitive prices. That commitment has proved incredibly popular with motorists, creating many thousands of loyal customers who continue to put their trust in Formula One Autocentres. As a result, the company has gone from strength to strength, currently boasting over 85 state-of-the-art branches across England, with over 500 highly trained staff working seven days a week to provide a full range of services including tyres, exhausts, batteries, brakes, clutches, MOT's and servicing. We remain resolutely independent, and as a family owned business, avoid being tied down to any single manufacturer or supplier. This gives us the freedom and flexibility to offer the biggest deals on the widest possible range of top branded products, making the company a viable, attractive and cost-effective alternative to both the big national chains and smaller local independent outlets. Quite simply, Formula One Autocentres provides cost-conscious motorists with the most reliable and affordable means of maintaining their vehicles. We defend our position at the forefront of the fast-fit industry by constantly evolving and developing innovative new products and services to meet the ever-changing demands of our customers. With an ongoing expansion programme and by regular investment in technology, we continue to provide unbeatable fast-fit service along with the very best value prices. In fact, we can confidently claim that no other company is better equipped to face the motoring challenges of the future. Good service kept up to date work and additional rear brake repair completed as advised and to good standard. Great service and price. I needed a new back box as well but the garage supplied and fitted one within mins at £58.